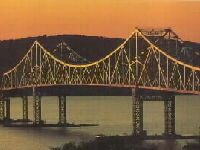 Thinking about a move to Rockland County, NY? CALL me now! 845-638-1081. Team Rockland invites you to visit & explore the smallest county...Rockland! Located on the western shores of the Hudson River, where the hustle & bustle of NYC merge with the tranquility of upstate NY, sits Rockland County - a glittering jewel in the crown of the vast NY metropolitan area. Only a short 30 minute drive north from Manhattan. Enjoy the tour.